Barry Hutchison, Will Hill, Joseph Delaney and Derek Landy are some of my favourite authors because of the way that they can creep me out, but also having me hanging on every word. I can now add another author to this list, one with possibly the coolest name around – Emerald Fennell. With a name like that you’re destined to become an author or an actress, and she’s both. Her debut novel, Shiverton Hall, is a chilling tale set in a boarding school in England. I absolutely loved Shiverton Hall! It brings together elements of my favourite horror series, Barry Hutchison’s Invisible Fiends and Will Hill’s Department 19, mixes it with a touch of Chris Priestley’s Tales of Terror stories, and sets it in a kind of sinister Hogwarts. I don’t want to give too much detail in case I spoil the story, but needless to say, if you love Barry Hutchison’s Invisible Fiends books about sinister invisible friends then you will love this story! I liken the story to Will Hill’s Department 19 and Chris Priestley’s Tales of Terror because Emerald Fennell breaks up the story of the children in the present time with stories about the history of Shiverton Hall. The grandfather of George (one of the main characters) wrote a book called Accounts of the Supernatural and Preternatural at Shiverton Hall and Its Surrounds, and George tells his friends some of the stories throughout the book, so you find out about what has happened at Shiverton Hall in the past. These stories of Shiverton Hall’s past are seriously creepy and I was really 0n edge as I was reading them. Like when you watch a horror movie, I found myself holding my breath, waiting for something to jump out at me. These historical stories are what made the book so great and I wanted to know even more about the sinister history of Shiverton Hall. There is plenty of mystery to keep you reading too. You want to know what is making the students do strange things, why doesn’t the headmistress believe anything they say, and what secret is Arthur keeping hidden? Emerald keeps you guessing right up to the very end. Just when you think the worst is over though, she knocks you in the guts and leaves you desperately wanting more. I sure hope that Emerald is planning to write a sequel as I’m sure Arthur’s story is far from finished. I’ll be waiting with bated breath. In the mean time I’ll go and read her Shiverton short story, The Quality Chophouse, for free here. 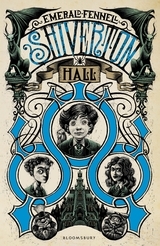 If you know any young horror fans, Shiverton Hall is a must read, and it’s perfect for primary and secondary school libraries (Year 7 and up). When I first read about Anne Fine’s new book, The Devil Walks, I knew it would be an amazing book. Anne Fine described it “as a venture into 19th-century gothic” and it sounded like the kind of dark, creepy story that I’d love. The Devil Walks is the story of Daniel, who has been hidden away from the world for most of his life by his reclusive, disturbed mother. However, this changes one day when a stranger takes Daniel from his home. This stranger, Doctor Marlow, takes Daniel into his home, where he is embraced by his family. Meanwhile, shocked by her son’s kidnap, Daniel’s mother is taken to an asylum where she hangs herself. The house where Daniel spent his life is sold, along with everything his mother owned to pay her debts. Daniel’s only inheritance is the one possession that Daniel takes with him from the house; his mother’s dolls house that is modeled on the house she grew up in, called High Gates. In the dolls house are a family of dolls, including a stick-thin woman who looks remarkably like his mother. During one of his games with Dr Marlow’s daughter, Sophie, they discover another doll, hidden in the house. This doll is two-in-one, at one end a mischievous looking boy, and the other end a man with ‘green eyes that gazed out with a more piercing look and the thin smile had curdled into something sourer.’ The more time they spend with this doll, the more it’s wickedness creeps into their lives. Just when Daniel is settled into his new life, Dr Marlow tells him he is being sent to live with his only surviving relative, his Uncle Severn at High Gates, the house that was the model for his dolls house. Daniel is not sure what to make of his uncle – one moment he’s cheerful and the next he is pounding his fists on the table in anger. As Daniel explores the house and the grounds, he discovers the terrible truth about his family and the sinister dolls house that his uncle will do anything to get his hands on. The Devil Walks is one of the most spine-tingling books I’ve read in a long time. Days after finishing the story it’s still stuck in my head and I keep going back over the story in my head. The story is so dark and mysterious that I was hooked right from the very first page. Anne Fine’s beautiful writing made me feel like I was right there with Daniel through the whole ordeal, from being hidden away in that dark house, to the labyrinth of rooms at High Gates. I think the reason I liked the story so much was that it had everything that I love about Carlos Ruiz Zafon’s gothic stories, like Shadow of the Wind and Prince of Mist. 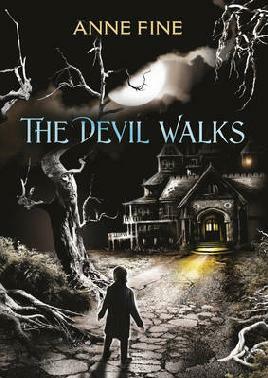 The Devil Walks is definitely one of my highlights of 2011 and I highly recommend it.